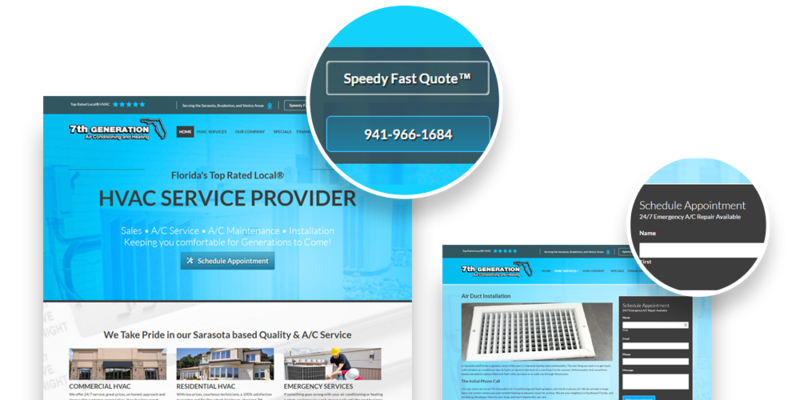 7th Generation Air Conditioning and Heating is a locally owned and operated AC repair company competing against some of the biggest names in the industry. 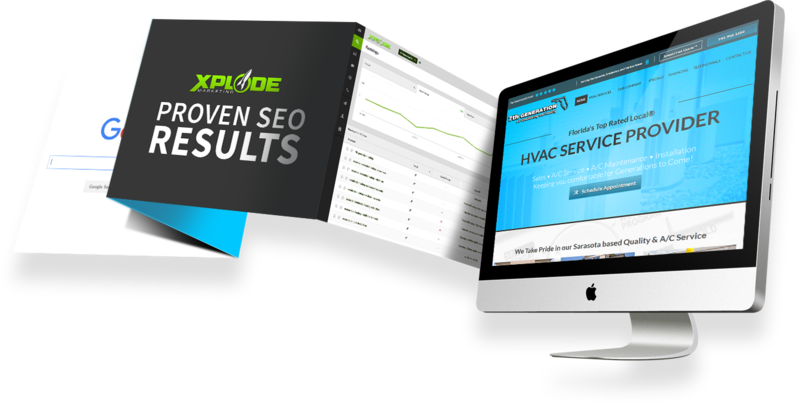 With the market being extremely competitive, and the big names spending thousands and thousands of dollars each month on advertising and marketing, 7th Generation turned to Xplode Marketing to focus on getting organic SEO results to increase lead generation and overall conversions. Creating a custom SEO game plan was the key to 7th Generation’s success. Below are some of the key points we’ll examine in this Case Study. 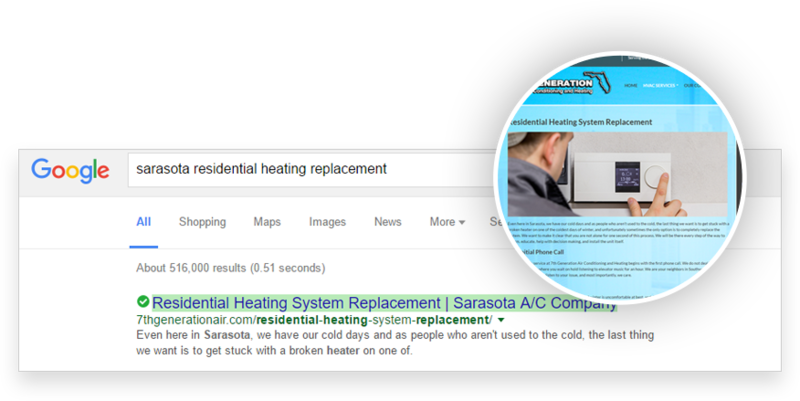 Keyword Research for 7th Generation was fairly easy considering there are so many services offered within the Air Conditioning and Heating industry. Our goal with 7th Generation was to start conservative and focus on long tail keywords that were not as competitive. This would give us the opportunity to rank in the top 3 spots within a couple of months and give us a nice foundation within Google. Once we achieved these goals, we expanded our keyword goal to some of the more competitive words. Onsite Optimization is one of the biggest and most important factors of Search Engine Optimization. If you don’t have your onsite optimization set up correctly, the offsite optimization results are nearly impossible to achieve. Luckily for 7th Generation, we include a full onsite optimization set up within our SEO packages. We went through each page of 7th Generation and made sure all of the H1 Tags, H2 Tags, Meta data, descriptions, and url’s were set up in a way that would increase keyword rankings. We continuously create content for 7th Generation via Blog Articles and Services. Creating links from relevant third party sources increases ranking. Increased Author Rank within Google helps increase keyword rankings. We’ve submitted 7th Generation into the top directories recognized by Google. We’ve increased 7th Generation’s Social Media presence to increase Google Rankings. We’ve increased traffic and focused on calls to action to convert visitors into leads. 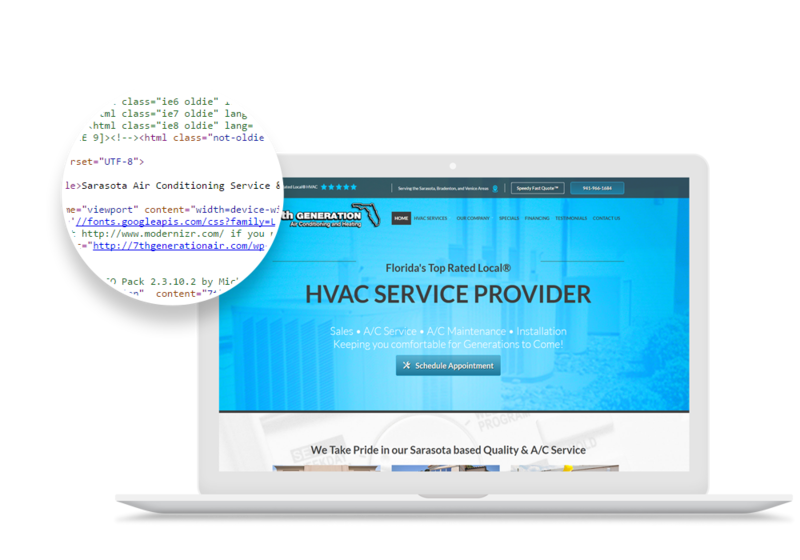 Once we fixed and updated 7th Generation’s onsite optimization, we turned our focus on content creation and offsite optimization. A lot of people ask the question, “I hear content creation is all I need to do in order to rank high for my keywords, is this true?” Well the answer is NO! Content creation is important, but it’s only one small aspect of a successful SEO plan if you’re focused on dominating your industry. Think of it this way… Google likes new relevant content, but it’s algorithm takes into consideration a number of different elements such as popularity, social signals, article back linking and more. If Google sees your content increasing with the number of shares whether it’s from social media, other industry related websites, or even news articles, your website will gain Google authority and increase your overall ranking for your keywords. Increasing Traffic to 7th Generation forces us to focus on converting those leads into real deal customers. In order to evaluate and drive more traffic, you need to know what’s working and what’s not working. This way, you can refine and expand traffic by using a dashboard of key metrics to determine page views, unique visitors, time on site, bounce rate, keyword conversions, community members and conversions. Utilizing Google Analytics conversion tracking tools allows us to analyze who filled out an online contact form and which keywords they used to get there. The overall goal for our SEO efforts with 7th Generation AC is to get more phone calls and more contact forms filled out. Inserting Google Analytics tracking software gives us the opportunity to analyze traffic and make adjustments on keywords, article creation topics, and more. CONTACT US TODAY FOR A FREE SEO EVALUATION!